Guangdong Real Faith Lighting Co.,Ltd. Guangdong Real Faith Lighting Technology Co., Ltd. is a holding company by Guangdong Real Faith Enterprise Group Co.,Ltd, it is a member of National Semiconductor Lighting Project R & D and Industry Alliance, Guangdong New High-tech Enterprise ,Guangdong Green Low-carbon Enterprise and the key Company Supported under Nanhai “Eagle Plan”. Real Faith Lighting Technology’s outstanding advantages lie in its quality, technology and manufacturing capacity. 20 years of experience in lighting design and manufacturing allow the company of excellent abilities in quality management and manufacturing, quality advantage always being the foundation of trust of our customers. 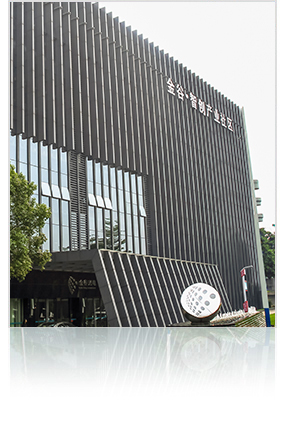 Since 2007, Real Faith Lighting Technology has established cooperation with Huazhong University of Science and Technology, National Laboratory for Photoelectrical Research and several overseas LED technical teams to perform production, learning and research. A great deal of capital has been invested to introduce advanced reliability test equipment, testing equipment, and inspection equipment. Just in 3 years, Real Faith Lighting Technology has successively developed several series of LED lighting application products leading the industry in terms of technology, especially in heat sink design, optical design and structural design as well as shape design of hi-power LED street lamp, tunnel lamps. Real Faith Lighting Technology has founded an advanced R&D team, systematic quality management team, strong manufacturing team, excellent marketing team and service team, integrating R&D, production, marketing and project assembly as well as services. Therefore, it is able to provide customers both at home and abroad with good-quality products and quick and convenient after-sales service.